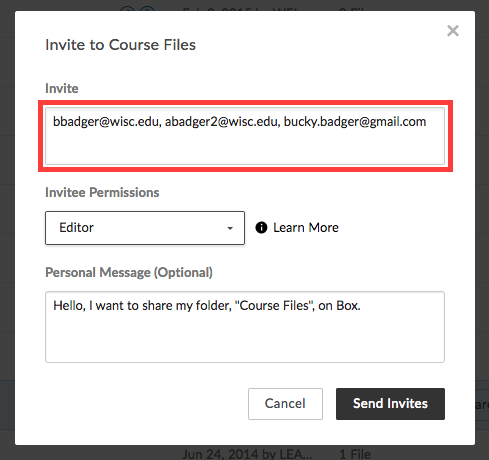 This document explains how you can add and invite multiple collaborators to a Box folder at once. If you instead paste in the list of comma-delimited addresses, they will be recognized and will appear in individual boxes that can be removed one-by-one. Note that this will occur for all email addresses, WiscMail or other, regardless of whether they are valid addresses. Use the Invitee Permissions to change the access level of the collaborators you've entered. 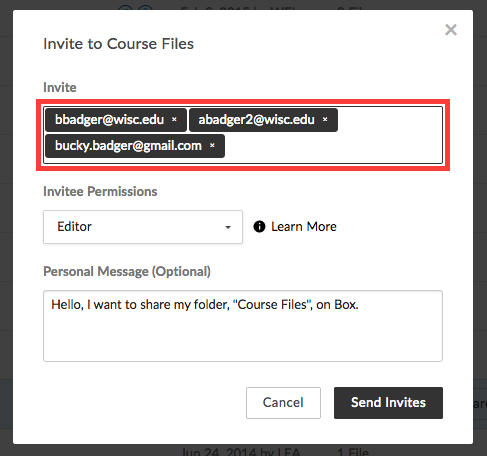 When you have entered everyone who should have access, click the Send Invites button.